Sometimes it just takes a little change to make a big difference in flavor. 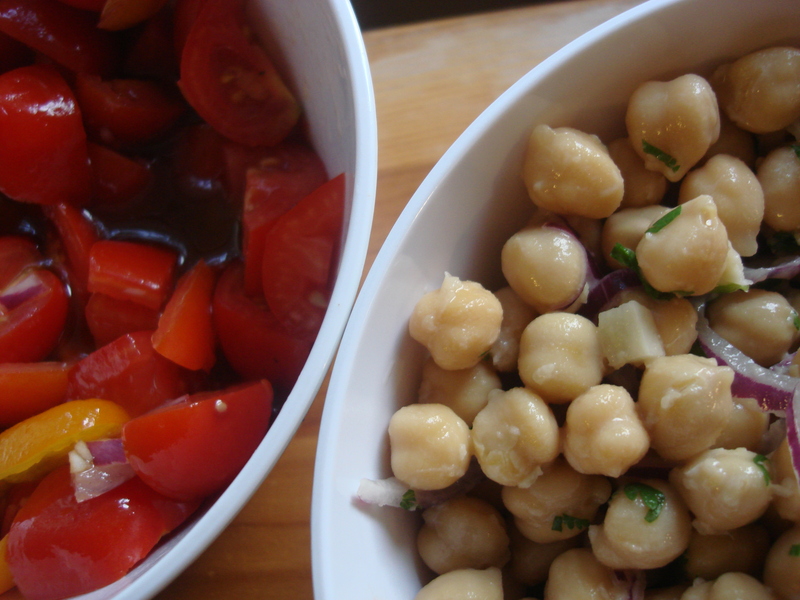 Here are two quickie recipes — one a salad and one a dressing for those crazy seasonal tomatoes that you no longer know what to do with — that are variations on stuff I do regularly, but with a new ingredient that updates it, keeps it from getting stale. In the chickpea and tahini salad, I add ginger and soy sauce to my basic tahini dressing for a slightly Asian flavor. For the dressing, I use balsamic vinegar instead of red wine vinegar as well as a dash of agave nectar; a little sweetness harmonizes with sweet seasonal tomatoes, but also mellows out their acidity. These can be done in a flash and will complement any summer meal or be a light dinner in themselves with some crusty bread. Mix or whisk lemon juice, tahini and soy sauce together in a bowl. Add remaining ingredients and stir to mix well. Whisk all ingredients in a bowl and pour over tomatoes in whatever quantity you like. Sliced red onion goes very well. You can serve with mozzarella and basil as a caprese salad, or over pasta for a summer buffet dish, hot or cold. Dip crusty bread into the liquid…. ← Fresh Tomato Sauce – Criollo-Style! I love making this in the summer, but really it’s great year round. 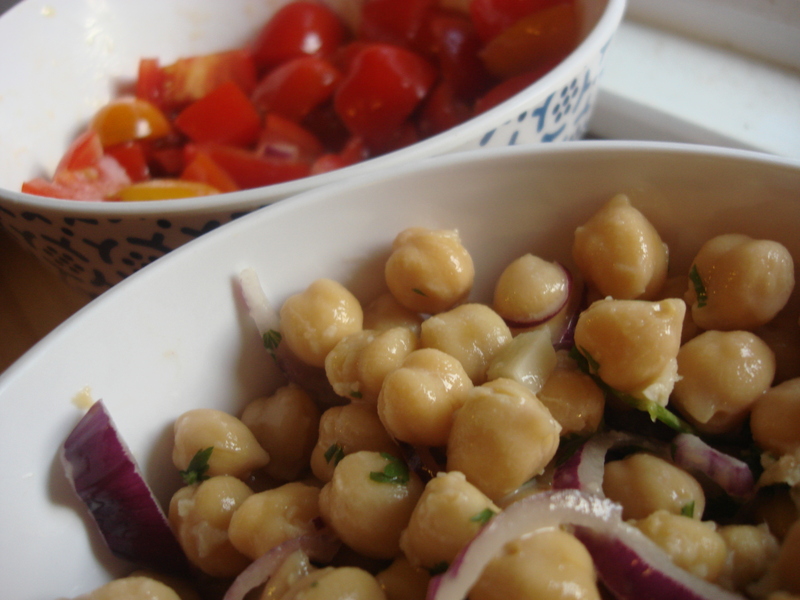 I’ve never done a chick pea salad with tahini, I know that sounds odd. I love this recipe.